With the OSM vector maps you are equipped with the very detailed maps, without the need of online access. 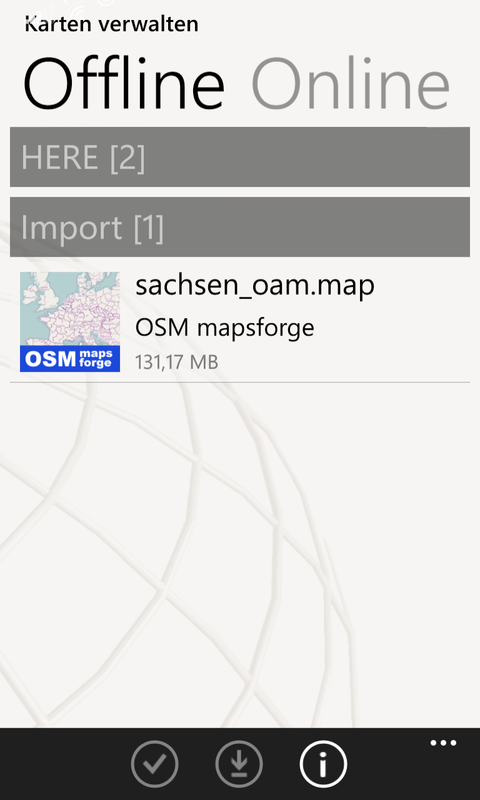 The file sizes of the OSM vector maps are pleasantly small. At lower zoom levels (14,13,12,..) the speed is slow, especially on slow phones. The strength of the OSM vector maps is rather larger in higher zoom levels (15,16,17,..). Themes: currently there is only an internal Theme (MTB-style). The names of POIs and cities can overlap each other. Labels are sometimes cropped at the edges of the map tiles. Multipolygons with inner recesses are represented not “punched” as such. The card selection was somewhat remodeled. The HERE maps can now be found in the offline part. Your online maps downloads can now be found in the details of the map provider (button ‘Info’) and can be downloaded there again (updated) or deleted. In the Details of the map providers you can now delete the local map tiles (Clear cache). The buttons on the map are farther apart and therefore a little easier to touch. New clearer Icon for the App. I hope you like it. As always, a matter of taste. This entry was posted in Outdoor, Outdoor - Update by maaloo7. Bookmark the permalink. Seit dem update geht nichts mehr. Probleme beim installieren des Update. Mein Lumia 640 stürzte komplett ab, nichts ging mehr. Neustart des Lumia und Deinstallation der App. Jetzt ist auch die neu Installation nicht mehr möglich. Vielleicht klappt die Installation über den PC. Ansonsten hilft hier leider nur der Microsoft Support. Thanks. I really love, yes love!, your app. Always a nice tool during hikes and geocaching walks. Really nice upgrade. Keep it up! 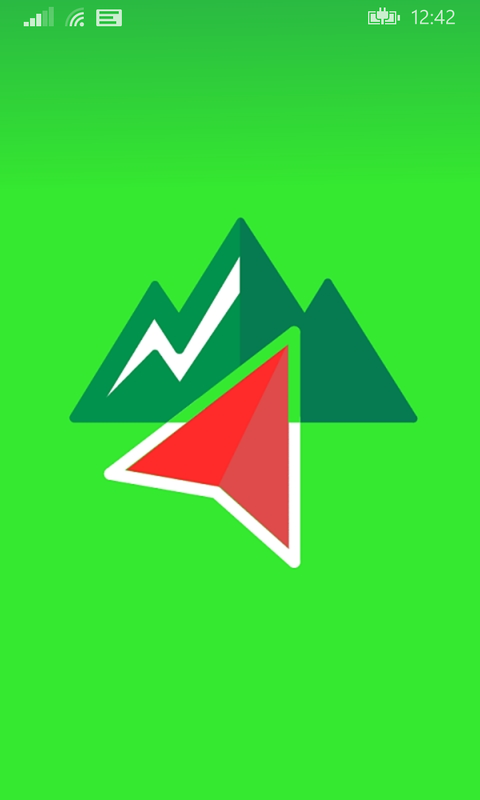 Is it possible to use vector maps with the geocaching app? 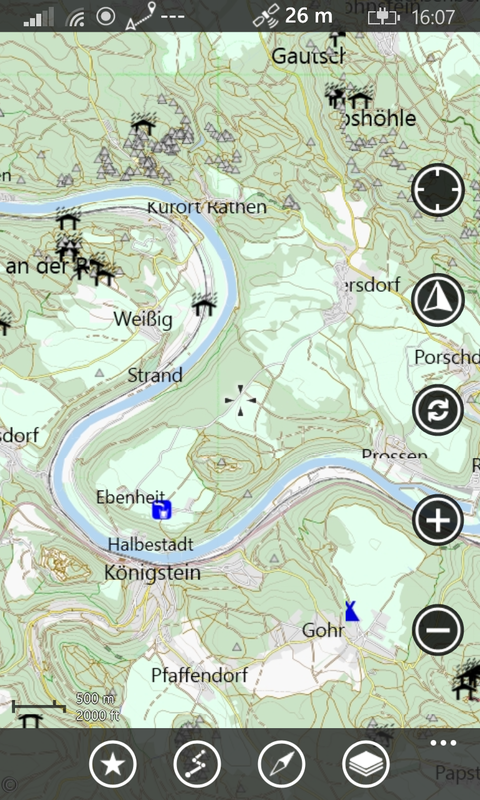 With the next update of the geocaching-version the vector maps will be available too. And when can we expect the update? 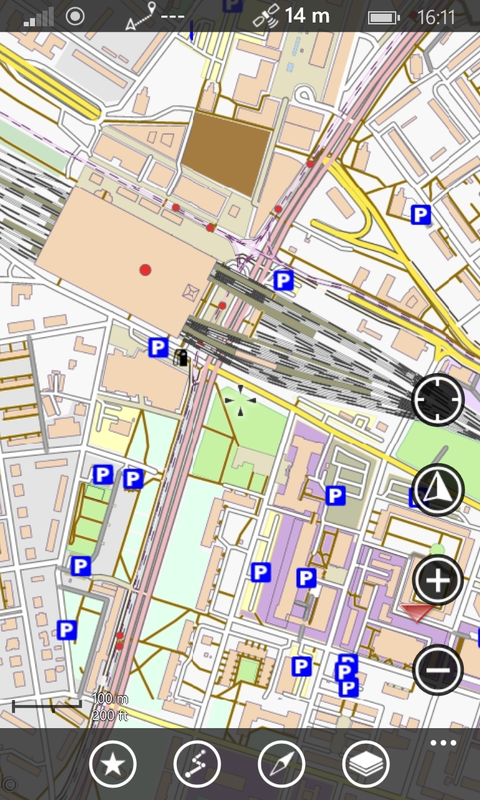 Thanks, but where is the difference between the Vector Maps and the “traditional” maps like from freizeitkarte-osm.de? The size is the same, 1.6GB for the Vector Map from openandroid and 1.4GB for the Freizeitkarte. I think we can only use .map maps. Is there any possibility to convert a .img to .map, or maps for garmin to .map, to use maps that we got in our computer with this extension? No it is not possible to use .img files with this app.